Dairy helps your bones grow big and strong. It's also a good source to get vitamins and other nutrition. Build healthy bones as a child. Have a healthy and balanced diet in your life. Surround your self with healthy choices causing a healthy life style. 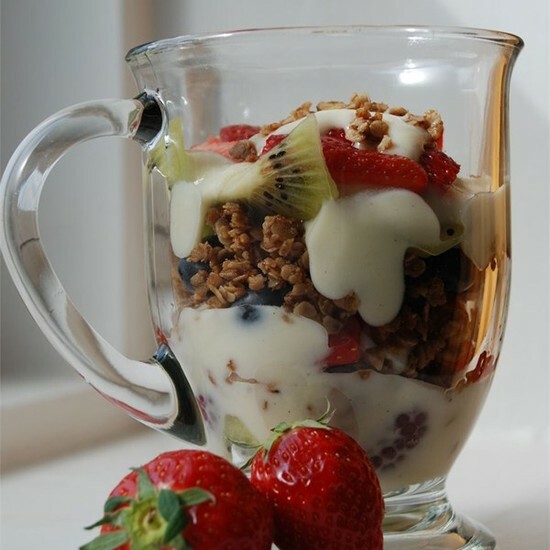 Layer 1/4 cup strawberries, 1/4 cup blueberries, 1/3 container yogurt, 1/3 of the sliced kiwi, and about 2 tablespoons of granola in a large bowl. Continue to build the parfait, repeating the layers until all of the ingredients are used completely. "Information about the Dairy Industy." Nmpf. N.p., n.d. Web.